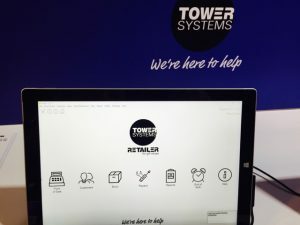 Our small business POS software company is serious when we say we’re here to help | Tower Blog | A blog about smart POS software for independent small businesses. Here at Tower Systems we take our tag line we’re here to help seriously. From our smart POS software to our after-sales service we help in every way we can with help taking many different forms and occurring at many different times. We take helping our small business retail customers seriously, as a whole of company service, core to our mission – a point of pride for us. Help starts with making contact with us easy, certain and professional. Every one of our customers has the usual contact points you would expect to find in a POS software company. Our customers also have the direct phone numbers and email addresses of our leadership team through to the owner of the company. This demonstrates a level of commitment that is best-practice in our view. We are so certain of our software and our after sales service that we are proud to make accessing our leadership team easy.